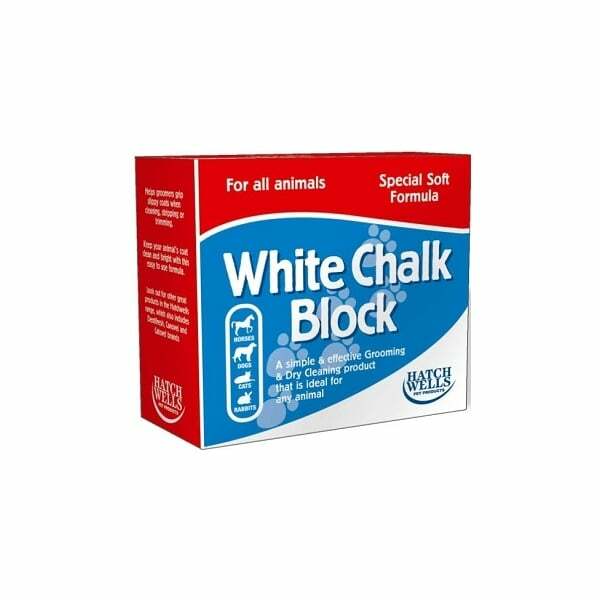 A simple & effective grooming & dry cleaning product for any animal. Keep your animals coat clean and bright with this easy use formula. A brilliant grooming aid, suitable for all animals. Keeping your pet’s coat clean and bright has never been easier. 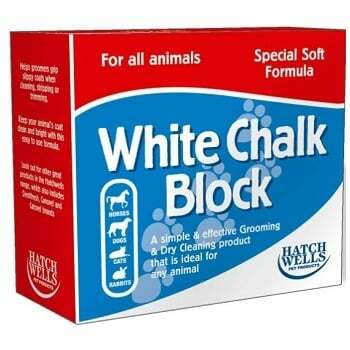 The special, soft formula of Hatchwell White Chalk Block produces a great, dry cleaning aid for keeping your pet looking their absolute best. Particularly useful for showing animals and providing grip for hand stripping dogs or cats.